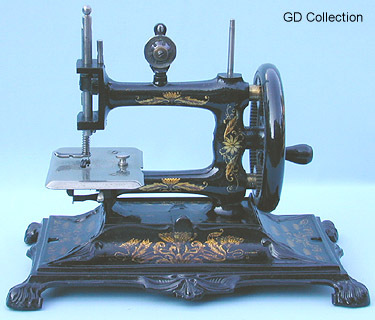 Toy sewing machine - Muller 12. The Muller 12 was one of this company's most practical chain stitch models. Its large spreading base makes it particularly suitable for serious work.